My daughter, Alana, is almost 21. She uses the new term “adulting” a lot these days. When she is getting ready for work (she has a summer internship in L.A.), she says she is “adulting.” When she is entering receipts for her job with the family business, she says, “I am adulting.” As you can see, she is equating work and responsibility with being an adult. But, shouldn’t adults get to play? There is an adult summer camp outside of Toronto, Canada run by a dear colleague of mine. At the beginning of the week, each camper turns in computers and cell phones for the entire four days (yikes!) and spends the time playing silly games, some from childhood, and laughing with each other. People report feeling open and renewed; so rarely do they get a chance to disconnect and simply have fun. I have been so inspired by his work that I have pledged to incorporate more play into my own life, not just during my scheduled vacations, but all year long. 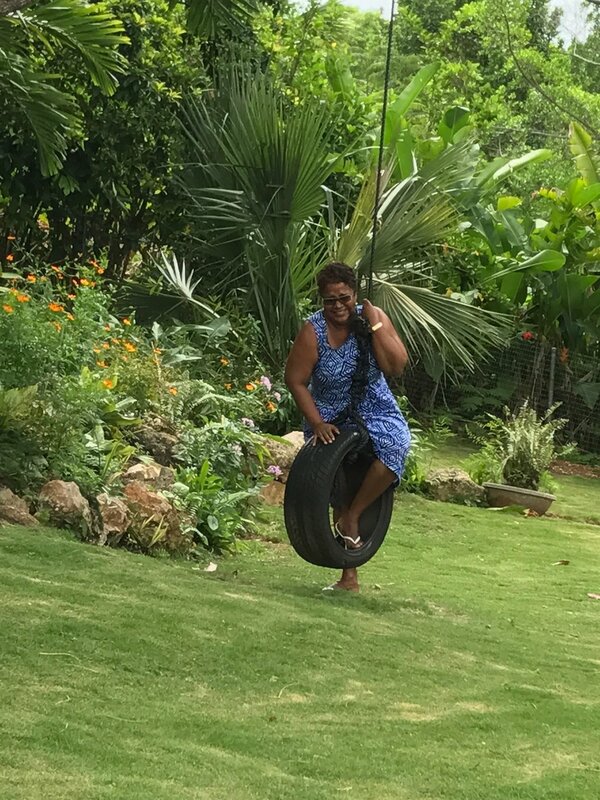 I am also inspired by the many visitors to Point of View Villa and Spa in Montego Bay, Jamaica who found the tire swing hanging from the tree in the backyard and decided to climb on and enjoy a few moments of fun and laughter. As many times as I have been to the villa, I have never been on that swing. I’ll be at Point of View at the end of August, and I am going to make it a point to get on. I’ll share pictures when I return. Feel free to drop me a line to hold me accountable! In this first installment of our monthly blog, I am wishing you ongoing play this summer and all year round.